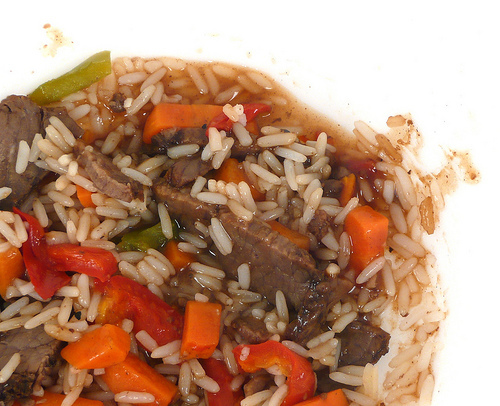 This post is filed under Beef, Carrots, Frozen, Healthy Choice, Microwave, Peppers, Rice, Water Chestnuts. Five-Spice, while sounding like it should be spicy, is actually a combination of spices like star anise, chinese cinnamon, fennel, ginger and something. I use it with chicken a lot… but it is deceiving! Aha, thanks for the explanation! ‘Binder product”? They don’t even tell you what it is? Food safety FAIL for Healthy Choice. Another example where your picture looks better than the box. And as others have mentioned “five spice” is a type of Asian spice and not necessarily hot spicy. 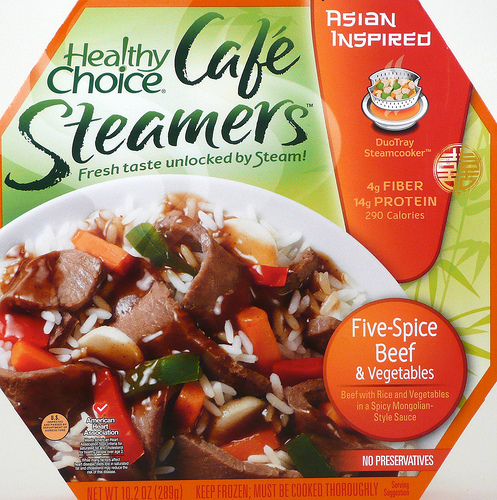 I’ve been eating a lot of these cafe steamers lately (on sale), although not this particular flavor. I find the flavor pretty good for microwave food. My big gripe with them is portion size. I’m not sure there’s actually enough food in the box to make their display picture, even if you scraped it all to just the side of the plate as it’s shown. do you know that weed can make you want to play golf? A formidable share, I simply given this onto a colleague who was doing a bit of evaluation on this. And he in actual fact purchased me breakfast as a result of I discovered it for him.. smile. So let me reword that: Thnx for the deal with! However yeah Thnkx for spending the time to discuss this, I really feel strongly about it and love studying more on this topic. If potential, as you develop into expertise, would you thoughts updating your blog with more details? It’s highly helpful for me. Big thumb up for this weblog submit!